The 1960s earned a reputation as the decade of protest: the Vietnam War, equal rights for African-Americans, women and gays. But the 2010s are on the way to rivaling the 60s as a decade of protest, especially for young people. 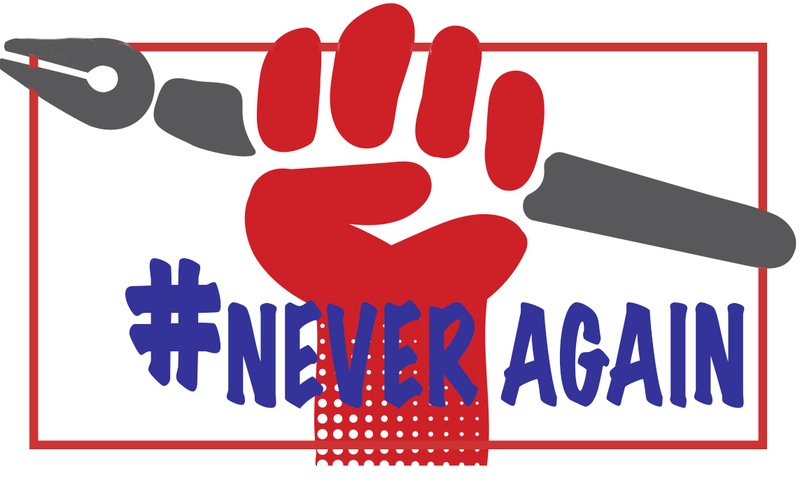 Black Lives Matter, the Tea Party, #metoo, anti-gun violence and New Voices have not just been social media campaigns. They have resulted in on-the-ground protests, in and around schools, that student journalists have done their best to cover. The legal rules regulating protests may be different depending on whether the protest occurs on campus or off. In the community, students or adults engaged in protest have the same First Amendment protections: they can’t break the law by engaging in violence or impeding traffic or public passage on a sidewalk, for example. But their right to voice their views is entitled to protection. At school, expressive activity is subject to greater limitation but still is protected by the First Amendment. The general rule used to justify censorship of student speech at a public school is based on the U.S. Supreme Court’s landmark decision in Tinker v. Des Moines Independent Community School District. In that 1969 case, the court said a public school must tolerate student expression at school unless school officials can show the speech will invade the rights of other students or create a material and substantial disruption of school activities. Invasion of the rights of others is typically defined as libeling someone or invading their privacy. Material and substantial disruption most commonly translates to some kind of physical disruption of classwork or extra-curricular activities. So what kinds of protest activities could result in punishment under this Tinker standard? Advocacy of violence or engaging in vandalism, participating in an unapproved walkout or otherwise failing to participate in classes are possible examples. Thus student protesters may choose to walk out of school but a school is probably legally justified in punishing students who engage in that form of protest. What is clear is neither school officials or police can punish protesters simply because they are motivated by a desire to protest. The punishment issued for walking out of class or blocking a street as a means of protest can be no greater than the punishment received by those who engaged in the same offense for non-protest-related reasons. For example, the student who leaves school to attend an anti-gun violence rally can’t be punished more severely than the student who skips class to get fast food for lunch. At many schools and in many communities, journalists have been given some special authorization to operate on the scene of news events like protests. For example, some law enforcement agencies will issue press credentials to journalists affiliated with a legitimate news organization that may make it easier for journalists to do their job. If such a credentialing process exists, student journalists should take advantage of it. When it doesn’t exist, many newsrooms have created their own “press passes” that journalists can wear or show if needed when covering a protest. The benefit of a press pass is it can help with one of the biggest challenges for journalists: distinguishing yourselves from the protesters. The more reporters or photographers look like protesters, the greater the likelihood they will be treated like them and could be subject to the same limitations. Journalists have private lives as well and may want to be involved in supporting causes. But they cannot ask to be treated like a journalist, with any special recognition that may provide, if they are engaging in protest at the same time. Press credentials are one valuable tool for the journalist in avoiding legal problems when covering a protest. But there are other tactics that are equally useful. It’s valuable for a news gathering to fully understand where he or she has the right to collect information. As one would expect, public spaces are fair game. Protesters in action on a sidewalk or city park (or even a school athletic field) have no reasonable expectation of privacy and cannot object to their activity being reported on or filmed when it occurs there. But protesters who meet in a private home to discuss their plans for their next big event would have a reasonable expectation of privacy and sneaking into their meeting could be an actionable invasion of privacy. Ultimately, a student news organization most wants the ability to meaningfully cover a protest. Having conversations in advance with school officials and/or police about the unique and important role of journalists in documenting the events can sometimes help avoid problems before they arise. The reality is some of those in authority would prefer there was no media coverage of protests. They may believe it encourages others to join in the protest or they may disagree with the message of the protest altogether. 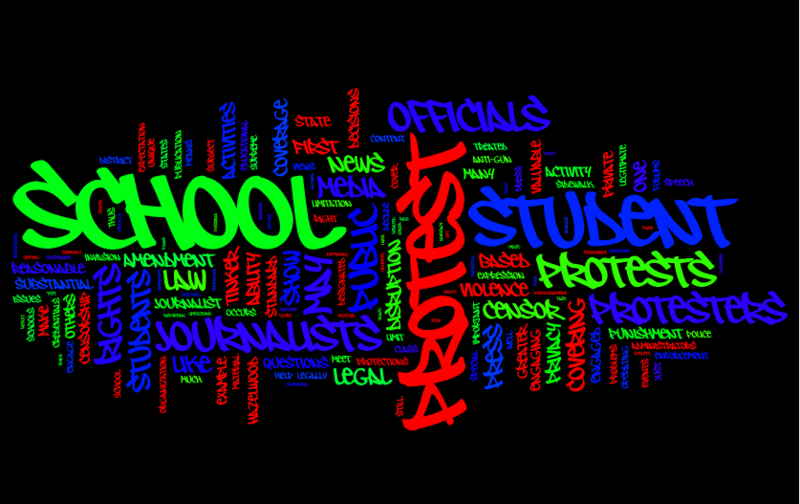 The ability of public school officials to limit student press coverage of protests is guided by the same standards that apply to other acts of censorship: the Supreme Court decisions in Tinker and Hazelwood School District v. Kuhlmeier (1988). For a non-forum publication, Hazelwood says school officials could censor if they can show their censorship is based on a reasonable educational justification. That standard, still much debated, gives a significant amount of ability to censor to school officials, but it’s not unlimited. Before they could censor a factually accurate story about a protest, administrators would have to show their motivation wasn’t based on disagreement with the views of the protesters but instead was based on some legitimate educational concern. For student news organizations operating as designated public forums where students make the content decisions, the school’s ability to censor is much more constrained. As with the protesters themselves, the school would have to show the media coverage caused a material and substantial disruption of school activities or a legal invasion of the rights of others (the Tinker standard). That’s a difficult test for school officials to meet. And, of course, if a student journalist is working in one of the 14 states that have enacted a student free press law (Washington state joined the list just this week! ), the school would have to comply with the provisions of that state law before it could censor as well. As with all media law questions, students and their advisers should go to the experts when they have questions about their legal rights and responsibilities in covering protests: the Student Press Law Center. Check out the SPLC’s valuable guide to covering protests: http://www.splc.org/page/covering-walkouts-and-protests. Arkansas, California, Colorado, Illinois, Iowa, Kansas, Maryland, Massachusetts, Rhode Island, Nevada, North Dakota, Oregon, Vermont and Washington.